This picture was taken in Sammu、Chiba, 19th July last year. 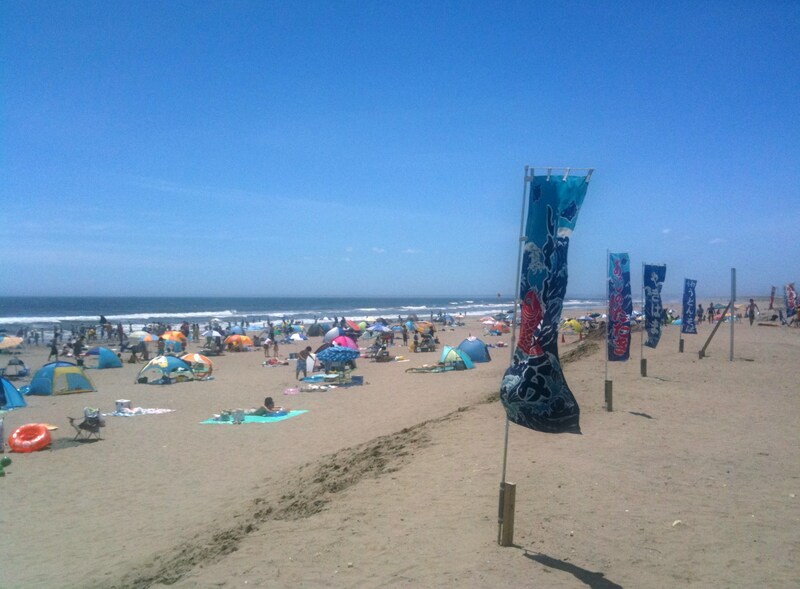 The beach is near Narita International Airport . looks like one of those days when the sand is almost too hot to walk on. Oh boy, i can use some of that heat right now. It is way too cold here for July. Yes, the sand was very, very hot! Now you making me wanting to go to the beach….and just stay in the water…. I’d like to go the beach, too. Oh, It is winter ,where you live. On the other hand, we have very hot summer in Japan, now. I think I could do with the beach right now! The related pictures are here (in my Japanese post). Oh, you lived in Tokyo. Yes, I lived in Kamikitazawa for a while, and travelled around to several places, including Kyoto. Fun city! The banner in the top page is a photo taken in Ashikaga Flower Park.